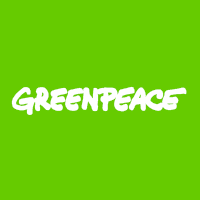 Friday, April 12: On the first anniversary of New Zealand’s internationally acclaimed ban on new oil and gas permits, Greenpeace has called for sweeping new climate policy. "A Government responding to the latest scientific evidence on climate change would be going much further than banning offshore oil and gas," she says. "A reasonable response to climate change would include prohibiting the development of any new fossil fuel infrastructure like gas peakers and coal boilers. It would mean phasing out the import of petrol and diesel vehicles, and instead supporting the roll out of electric trains, buses, bikes and cars. "Budget 2019 should be brimming with new commitments to clean energy too, such as solarising schools and providing a zero interest loan for solarising the family home. We should expect to see strong commitments to re-skilling Taranaki’s oil and gas workers for offshore wind and other complementary industries." "If we keep seeing regressive decisions like this instead of strong policy commitments to clean energy, the Government will start to forfeit their right to the claim of climate leadership," she says.